As the remaining snow melts and flowers begin to appear, April is a great month to get out and look at fresh career opportunities in New Hampshire’s largest employment sector – its growing and thriving hospitality sector. 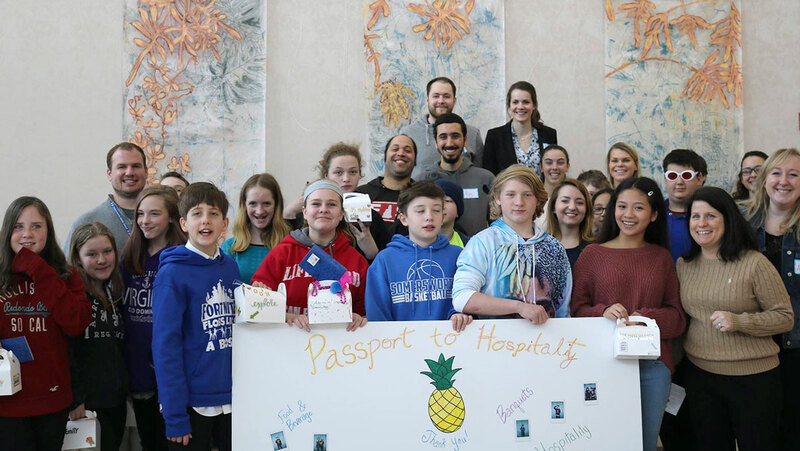 Over the course of the month, over 70 business tours and other activities are planned to help students learn about the diverse array of hospitality career opportunities that exist today. Tours and events include opportunities to hear from employers in restaurants, ski resorts, inns and hotels and much more. While this includes such familiar jobs as waiters, chefs and greeters, the sector employs individuals with backgrounds in accounting, human resources, marketing, social media, technology and much more. New Hampshire Hospitality Month is coordinated by the NH Restaurant and Lodging Association (NHRLA) and further promoted through the NH Sector Partnerships Initiative (SPI). “Hospitality Month offers students a chance to see and interact with companies in the hospitality industry and gain a better understanding of the significant opportunities that exist in these fun and fast-paced organizations,” said Amie Pariseau, education and workforce development director for the NHRLA and the hospitality sector advisor for SPI. Events will run through the month of April. They are designed for middle and high school students, who will visit various properties through pre-arranged tours and meetings. A total of 54 hospitality partners are participating and expect to engage over 500 students during the month. Some of these partners include the Omi Mount Washington, Wentworth by the Sea, Gunstock Mountain Resort, Cactus Jacks, Mill Falls at the Lake and the NH Food Bank. “Our goal is to bring students outside of the classroom to experience the hospitality industry and see and interact with people at their workplace. This way, they can understand the full breadth of opportunities that exist. For example, Mill Falls at the Lake employs three social media staff. Most kids never think that this career option exists in this type of industry,” Pariseau said. The NH Sector Partnerships Initiative, or NH SPI, is a collaborative, industry-led program that provides funding, training expertise and other resources to help companies within a growing industry sector collaborate on workforce development needs together. Sectors include manufacturing, technology, healthcare, construction and hospitality. To learn more or to get involved with the second annual Hospitality Month, contact Amie Pariseau, hospitality sector advisor at 228-9585 X12, or apariseau@nhlra.com or visit nhsectorpartners.org.